The original version of this review was published in the online magazine Examiner in 2015. The beginning of The Quiet Ones seems promising: The year is 1974. Joseph Coupland, an Oxford professor, is intent on proving that the supernatural does not exist, but merely an extension of a sickly brain. He and two of his students are testing his theory on Jane, a young woman with deep psychological issues. Is she somehow transferring her negative energy into observable phenomena? Could the mind really be in control of matter? So far, so good. Then, a few minutes in, we watch footage of Coupland’s prior subject, a little boy whose manifestations got out of control. As we watch him go through an apparent seizure, the film jitters and sputters in that cliché way we’ve come to expect of “old film”… and clearly spot a blurry special effect of the demon (or ghost, take your pick) which is possessing him, along with the requisite “growl” reserved for evil apparitions. Why, oh why? Why ruin a perfectly intriguing setup so early by giving away the plot? Just this shot and you already know that Jane is also possessed, and that the professor’s ideas will be shot down by the movie’s end in yet another unsubtle shockfest. Perhaps this was the direction The Quiet Ones would’ve taken anyway, but it would’ve been so much better if the film had actually been scary on account of the science and not the usual horror tropes. Sigh. This is the fifth film to come from the revamped Hammer Films, once famous for their series of Dracula, Frankenstein, and Mummy films, as well as other horror classics such as The Quartermass Experiment in 1955. But the results so far have been lethargic at best, with drivel such as the vampire flick Let Me In (2010) – the pedestrian remake of the Swedish feature Let The Right One In (2008), a film you definitely should see – and the lackluster ghost story The Woman in Black (2012). Having said that, The Quiet Ones is not entirely without merit. Director John Pogue and cinematographer Mátyás Erdély know how to squeeze tension from the frame, allowing the camera to linger for extended periods of time (always scary). There are some interesting choices, such as having one of the lead characters (Sam Claflin) documenting the experiment on celluloid, thereby giving the movie a quasi-found footage feel: A particular scene where the group moves along a darkened house searching for the entity is effectively creepy, recalling films such as 1999’s The Blair Witch Project (another film you should see). Jared Harris, whose performance in the TV series Mad Men (2007-2015) was superb, holds the screen with equal aplomb here as the unbelieving academic. 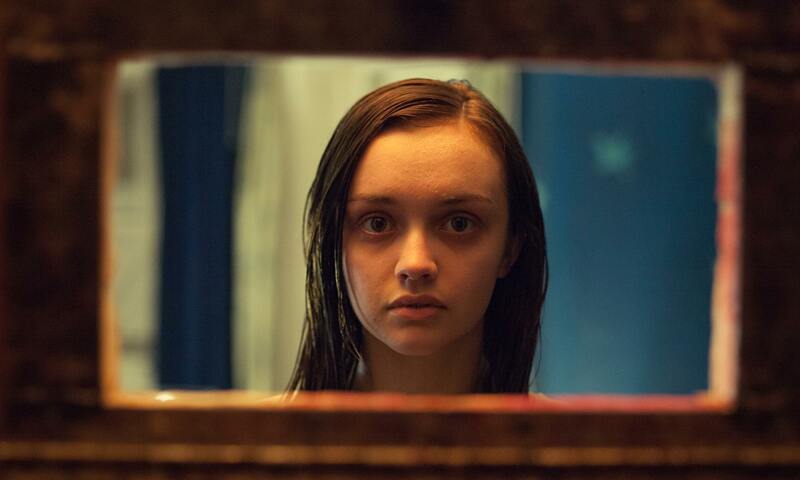 And Olivia Cooke proves to be a young talent to watch, imbuing Jane with equal measures of eerie stillness and sexual curiosity. But it’s all for naught when the script is so nonsensical the filmmakers have to rely on an “inspired by actual events” disclaimer for legitimacy. By the time we get to the revelations of demon worshiping, symbols carved in flesh, and vomiting ectoplasm, you know you’ve walked down this road before. Too bad. The Quiet Ones makes plenty of noise, but in the end it has little to say.